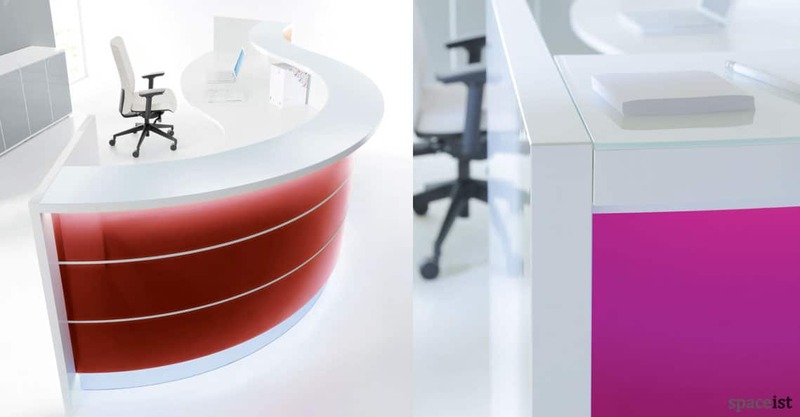 Presenting the newest addition to our desk range, the Valde curved half-desk is our product of the week. Specially designed for spaces that require a desk that does not fall into the conventional category, the Valde desk presents contemporary style along with high-quality function. 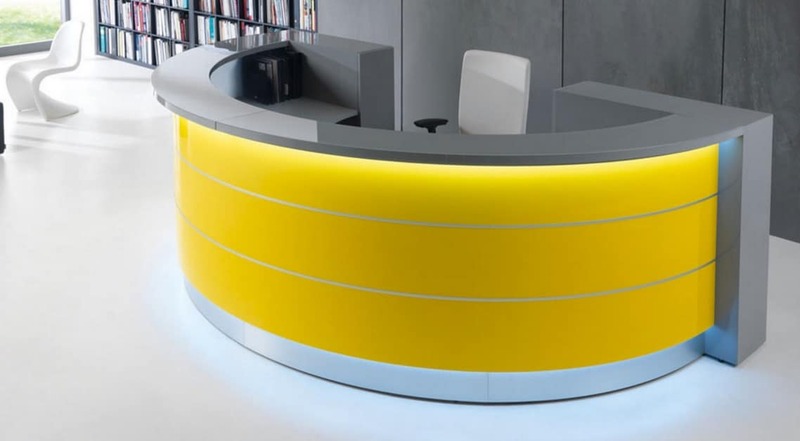 The highlight of the design is the option of a curved or circular configuration allowing it to fit into spaces with specific spatial requirements. A highly attractive option, the Valde desk is a combination of solid engineered wood and contract grade high impact gloss laminate. The worktop space allows the inclusion of cable management systems that are all integrated into the desk. 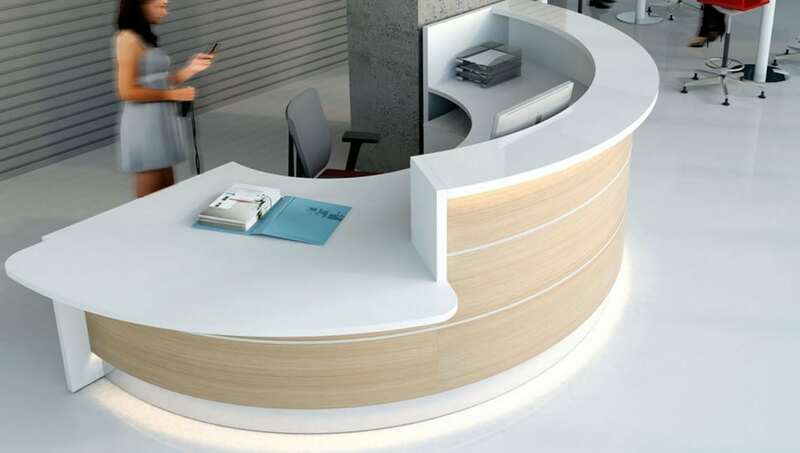 the desk offers very modern fixtures, such as LED lighting and level adjustment options, that also include a wheelchair height option improving accessibility. 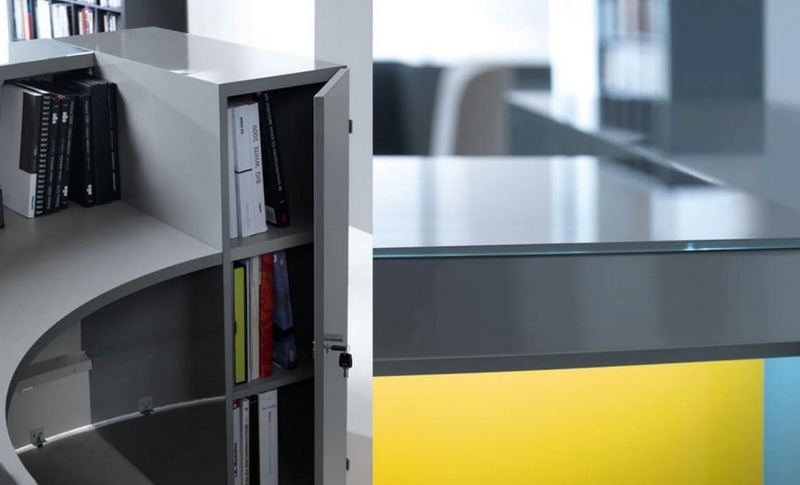 The desk is suitable for reception area application within offices, healthcare, public sector spaces and more.